ANOTHER HUGE POWER HOUSE JOINS VIKRAM AND TRISHA’S SAAMY 2! Vikram and Trisha’s next film together is Saamy 2 directed by Hari. The next film in the hit franchise Saamy is being produced by Shibu Thameens of Thameens Films. 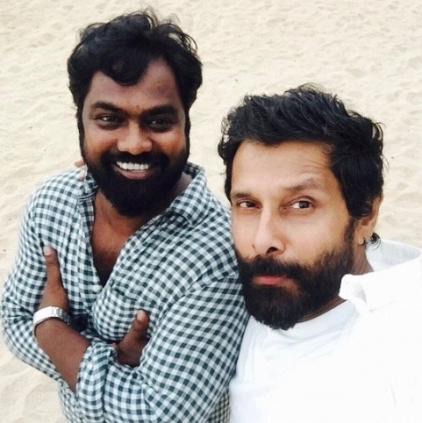 Chiyaan Vikram was all the while busy shooting for two films simultaneously, Dhruva Natchathiram and Sketch. Out of those two films in the production, the shooting of Sketch has been wrapped up. The entire filming got over by yesterday and the entire team seemed to be very emotional sharing their messages on Twitter. Director Vijay Chandar tweeted, "Happy to work with my good hearted and legend actor Vikram sirrrrrrrr missssss u thanks for the memorable days". The film's leading lady Tamannaah tweeted, "Last day of #Sketch. It's been an incredible journey. Will miss #Vikram and @vijayfilmaker sir. Great memories!" Music director Thaman stated that the musical album of the film would be power packed and energetic. He tweeted, "#Sketch audio updates very soon guys can't wait fr it my first biggie with our very own #vikram sir I promise u all a #therichified audio"
People looking for online information on Hari, Neeraja Kona, Saamy 2, Trisha, Vikram will find this news story useful.